In 2010 and 2011 I compiled posts documenting mHealth themed events taking place around the world. After arriving back from presenting and exhibiting at the mHealth Summit (the worlds leading global industry event which was attended by more than 3,000 delegates from over 45 countries and some 220 exhibiting companies) I find it interesting to look at the growing momentum (2 in ’09, 48 in ’10 and 78 in ’11) of the various industry gatherings and online networking groups (eg. 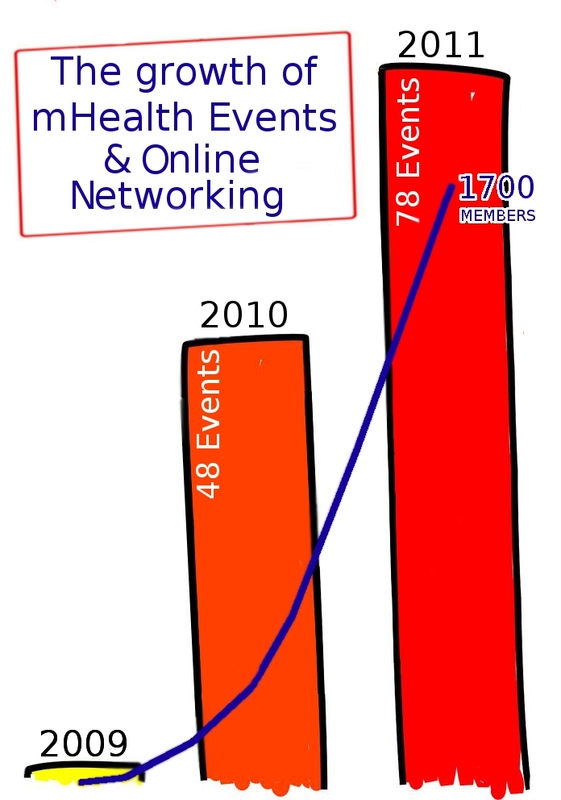 the 1700 member mHealth networking group I set up on Linkedin in 2008) before looking forward to what 2012 has in store for us.